Revealed a leader in the rule of law on the signing of a tripartite document between his coalition and each of the coalition victory and Fatah to form the largest bloc, which will assume the task of forming the next government. 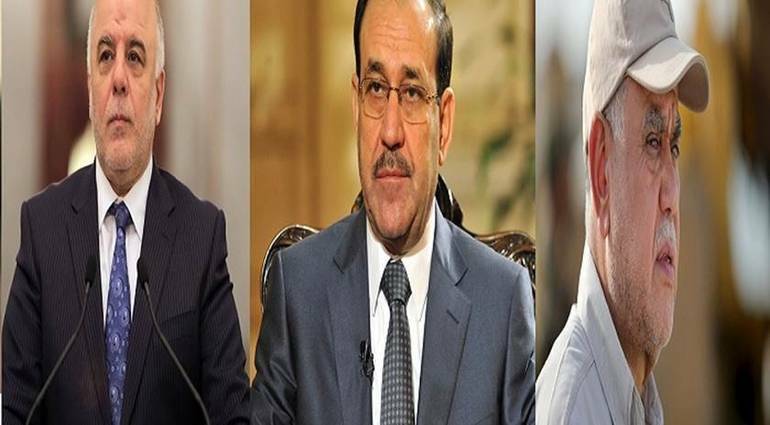 The leader said in a statement to "Sky Press" that the document that resulted in an alliance between the three blocs, was signed after several meetingsand meetings to draw the first lines of the map of the largest bloc, stressing that the blocs will support the leader of a coalition of law Nuri al-Maliki to head the next government. He added that the senior leaders of the Dawa Party was able to reach a preliminary agreement on the form of the next government, which was welcomed by the leaders in the list of Fatah and agreed to support him. It is noteworthy that the news has spoken earlier about the efforts of the leaders of the Dawa party to the situation inside the party and included wings headed by al-Maliki and Abadi to ensure the eligibility of the electoral party in the prime minister, according to what these leaders.